If the M train wasn’t screwy enough for you, we’ve got more bad news. 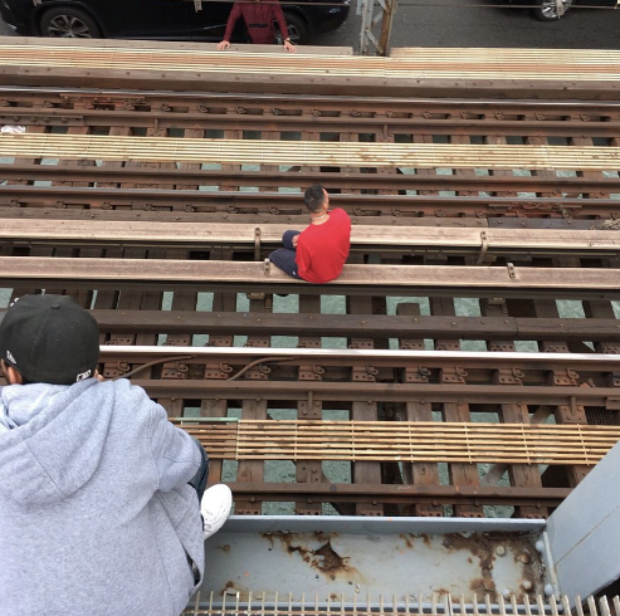 A guy in a red shirt sitting on the subway tracks on the Williamsburg Bridge has stopped service between Hewes and Essex streets on the M and J lines this morning. For travel alternatives, take a Jamaica-bound J or a Broadway Junction-bound M train to Broadway Junction for A, C, and L train service to Manhattan. Nobody knows what this guy is doing or why. If you've got a choice between the L and M train, go with the L. You should know that by now, anyway. In the meantime, this is how the mayhem looks like on the Marcy JMZ stop.